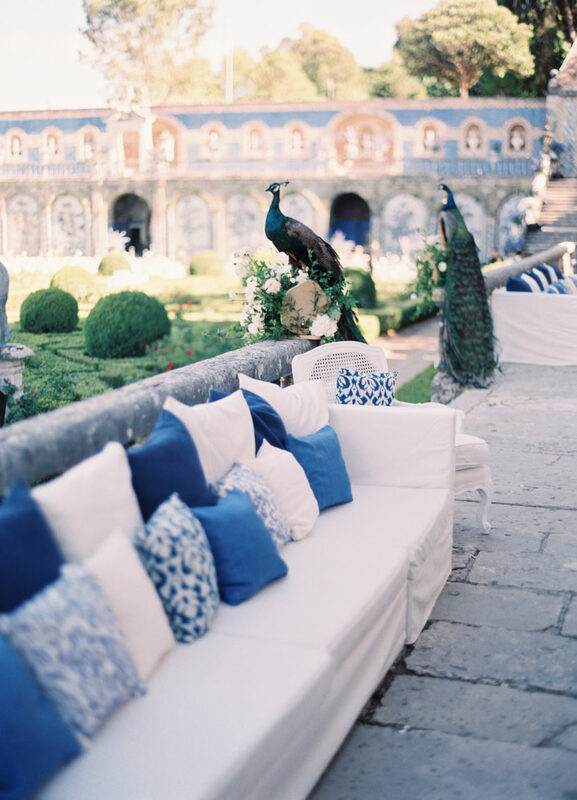 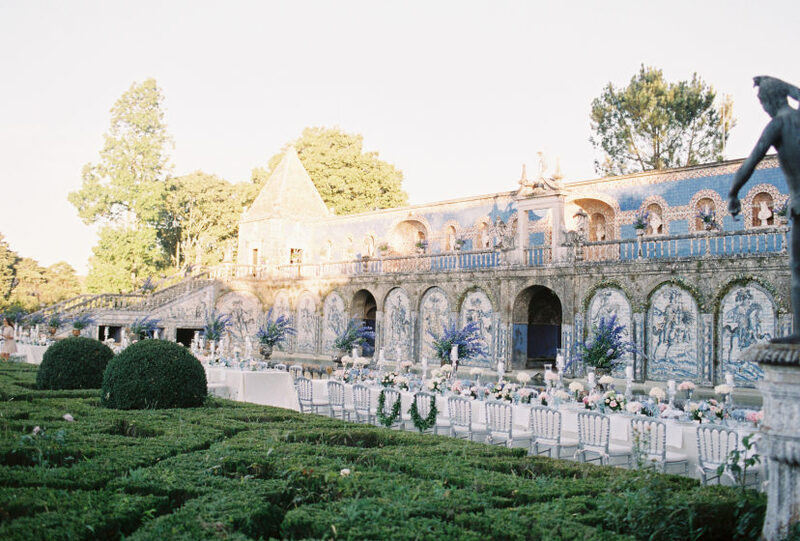 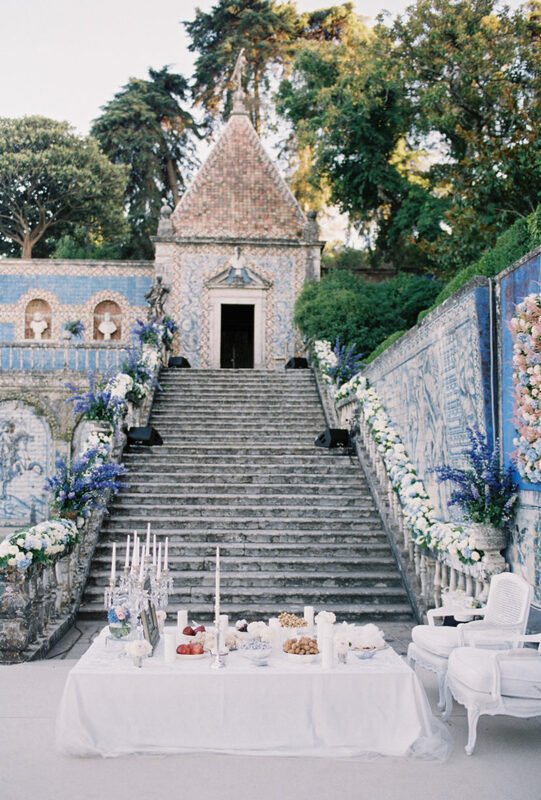 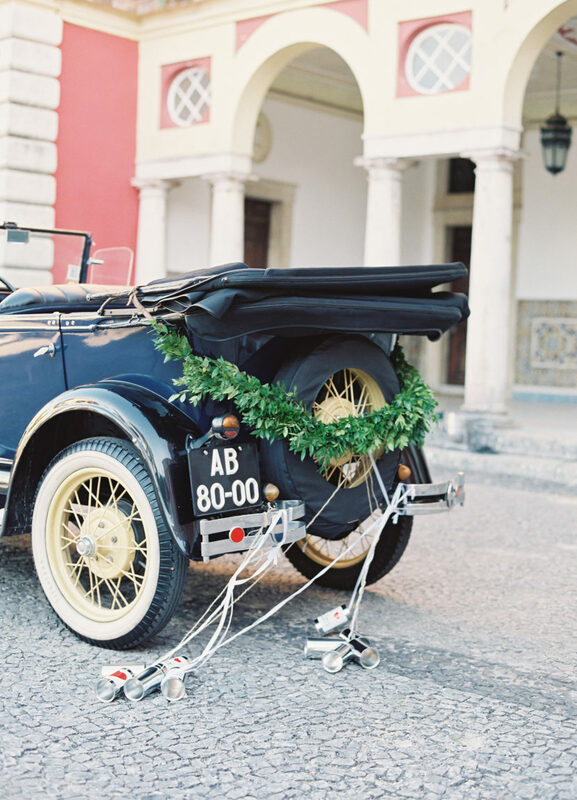 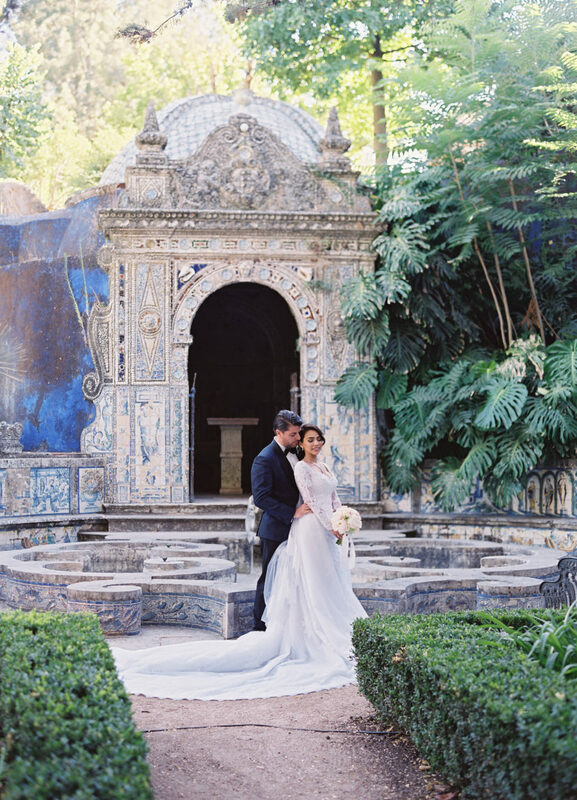 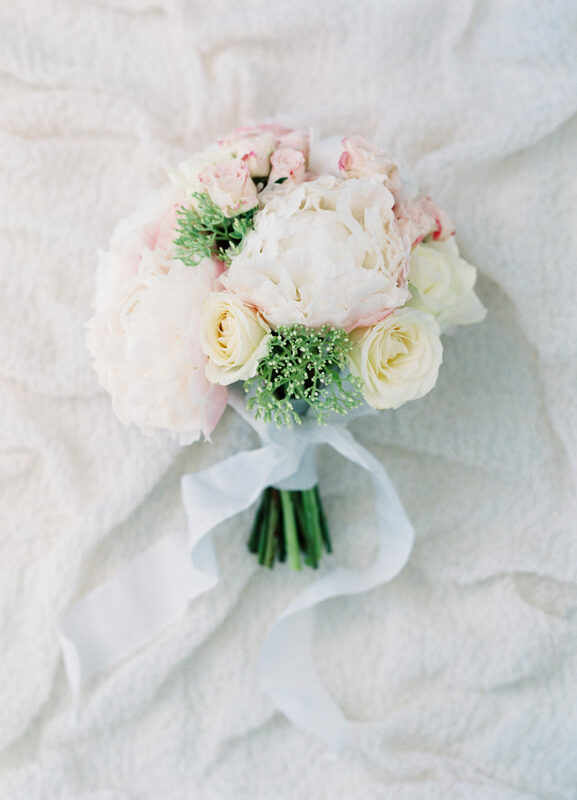 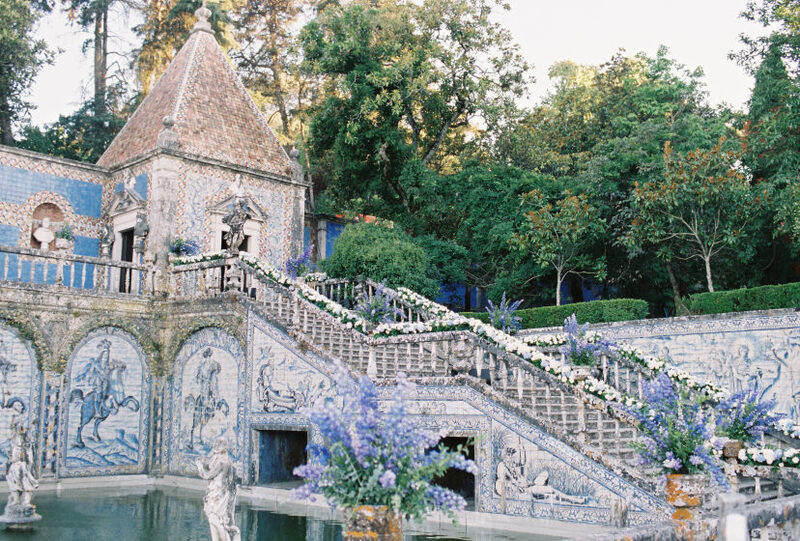 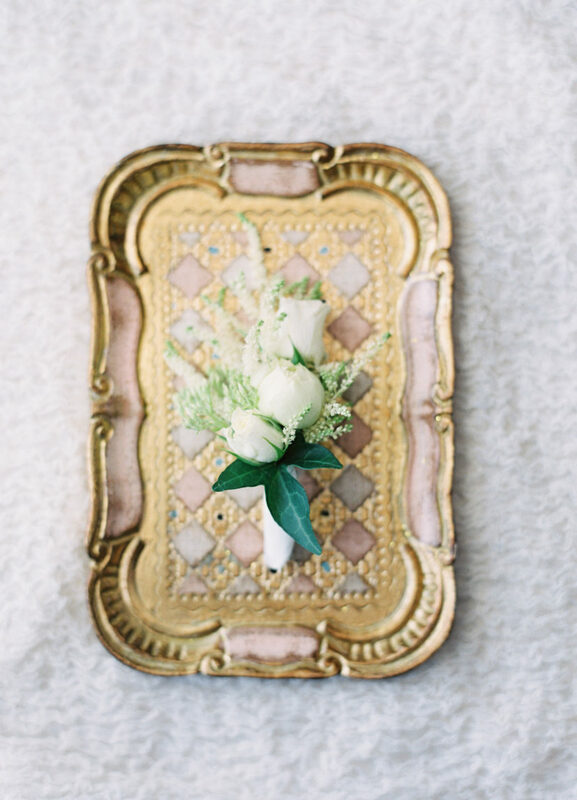 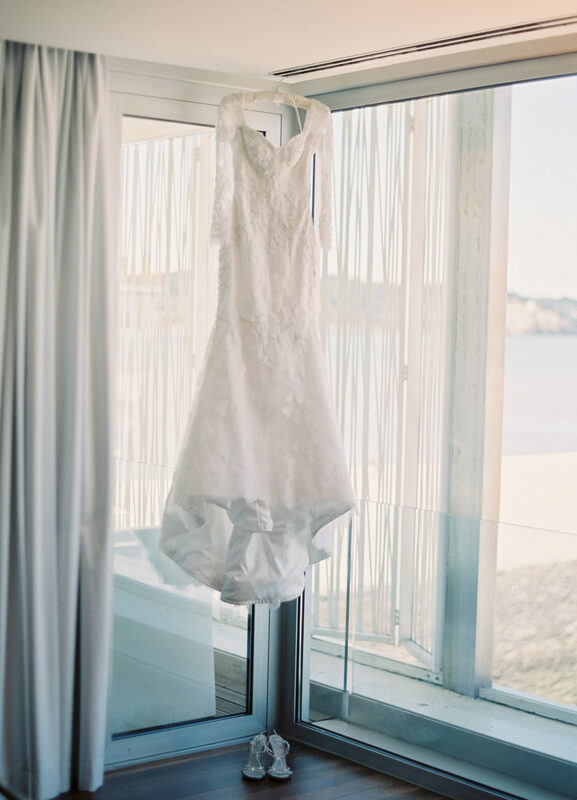 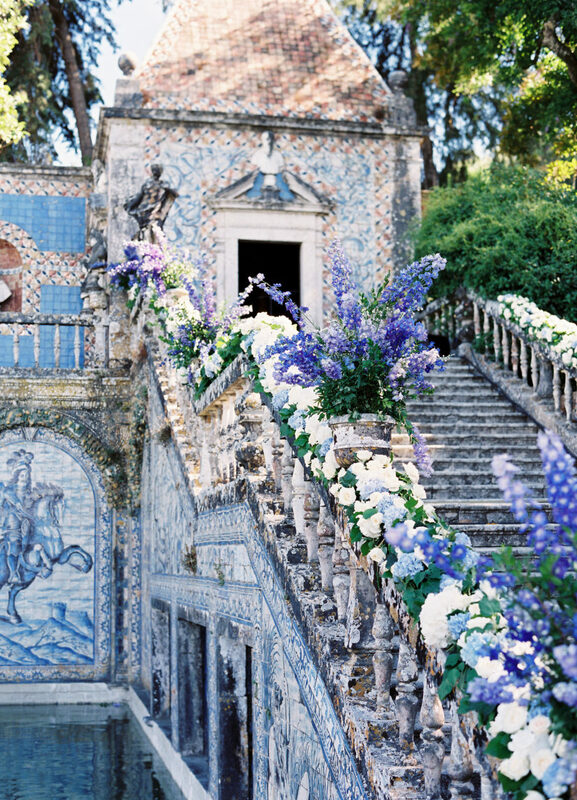 This luxury destination wedding in Lisbon, Portugal has us mesmerized! 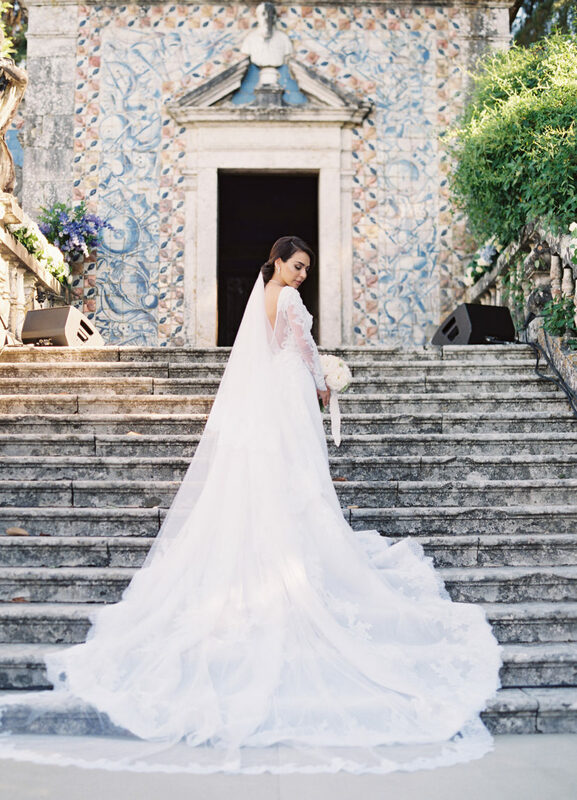 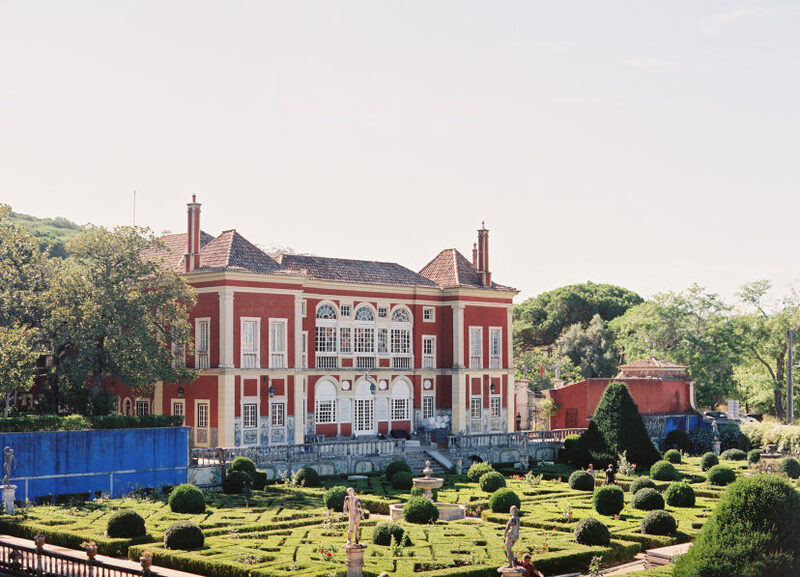 The Fronteira Palace is one glamorous estate full of depths, mazes and color, and Joseba Sandoval Photography was there to capture every breathtaking moment. 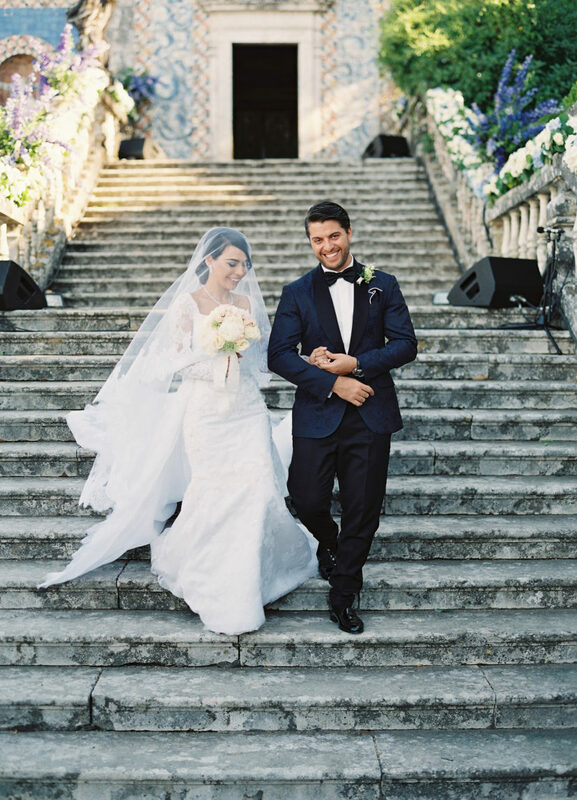 We’re so impressed with the bride’s sophisticated long-sleeve lace gown by Amato Haute Couture, which set the tone for this classy affair. 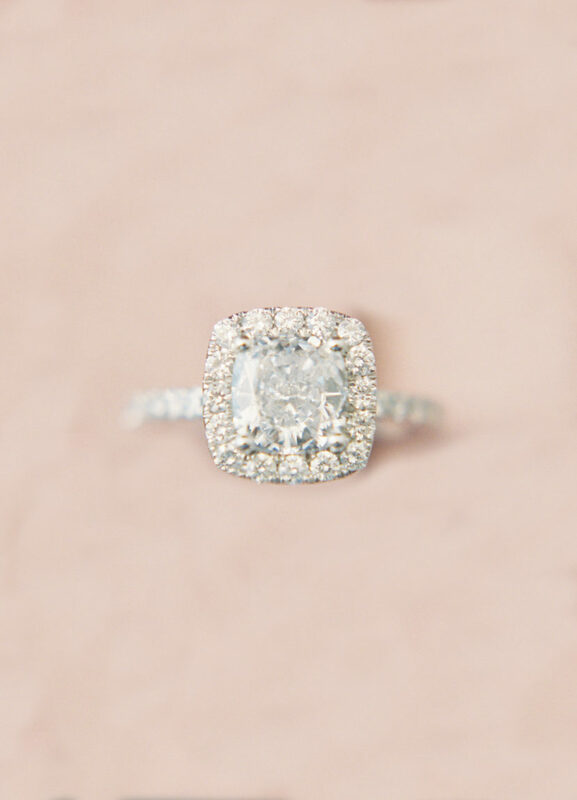 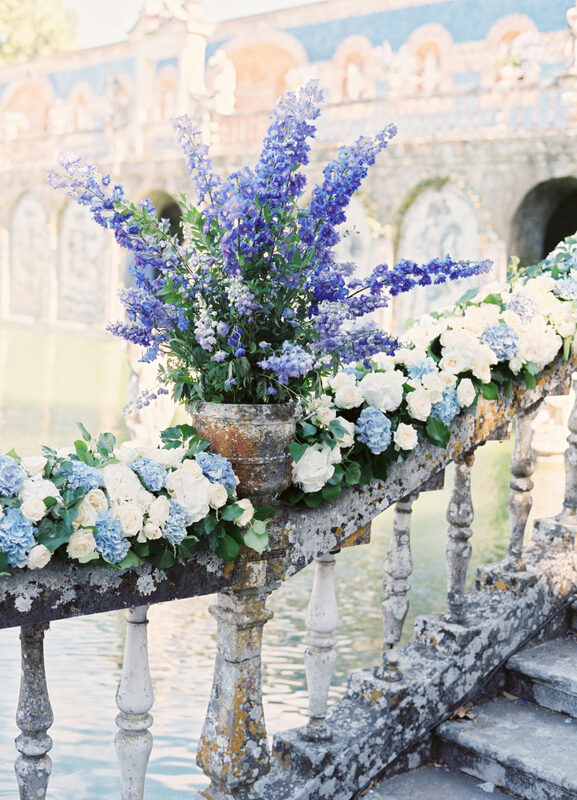 However, The Wedding Company is truly the star of this show, planning the majestic moments and adorning the timeless staircase bannister and the gorgeous reception tables with magnificent blooms. 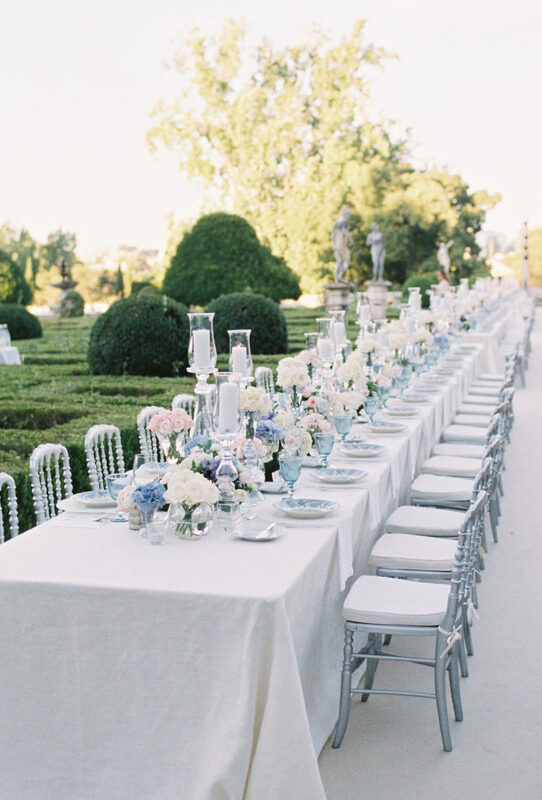 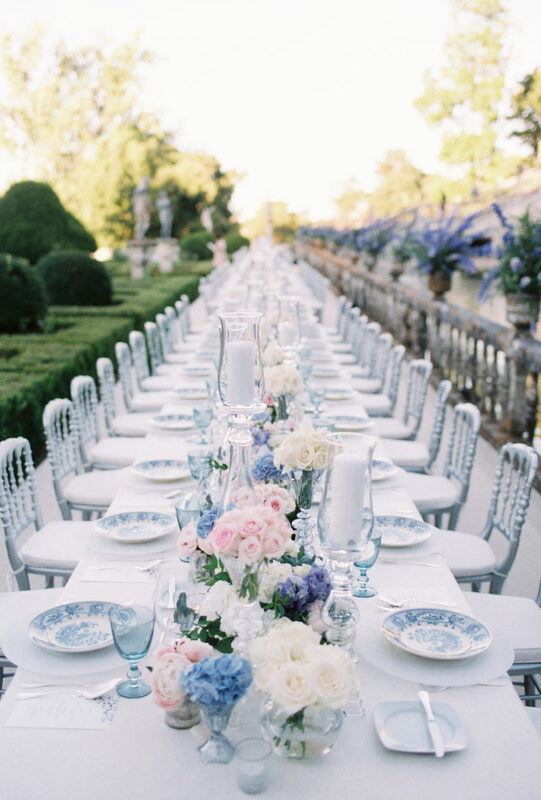 Pastel violet, blue, pink and white were elegantly on display to complement the vibrant greens of the palace landscape. 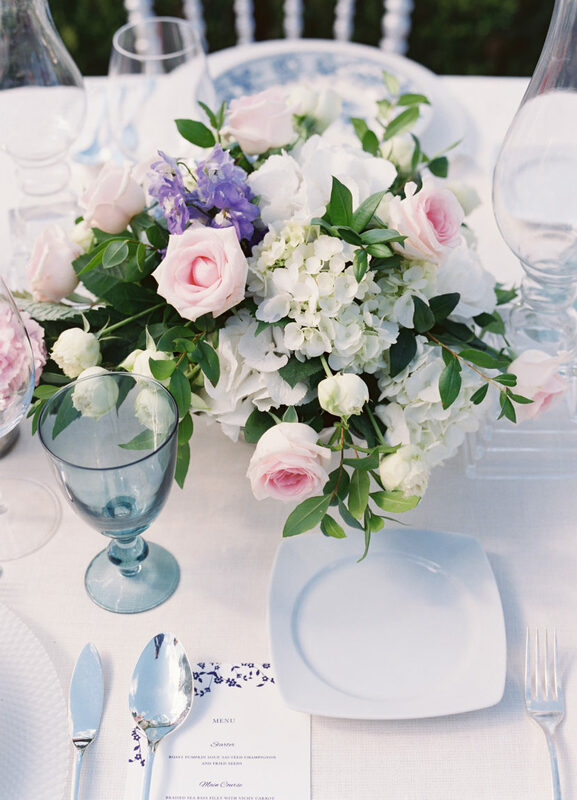 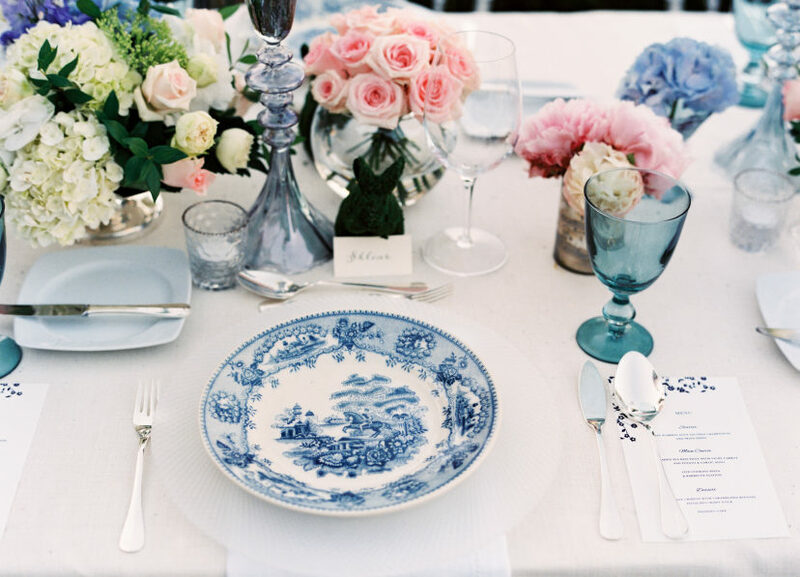 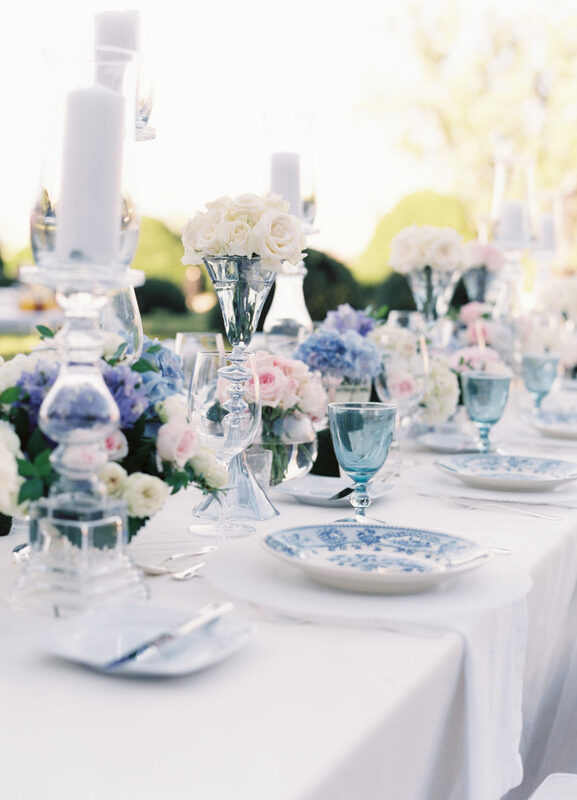 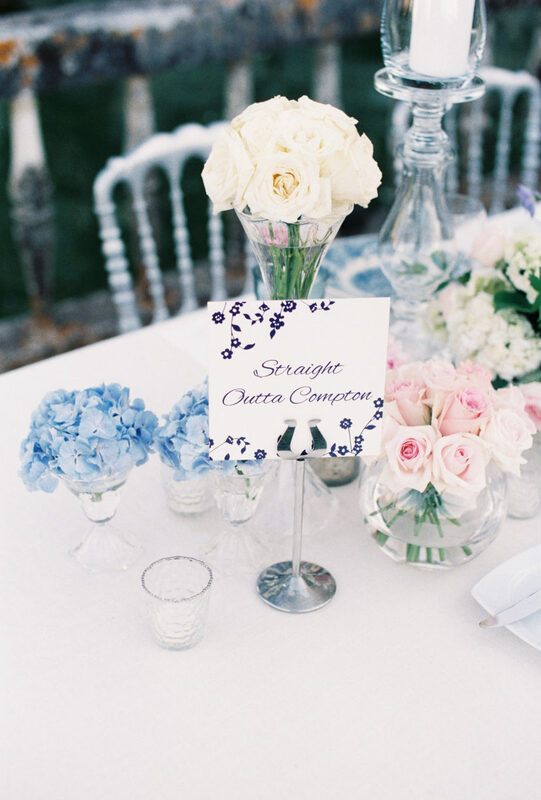 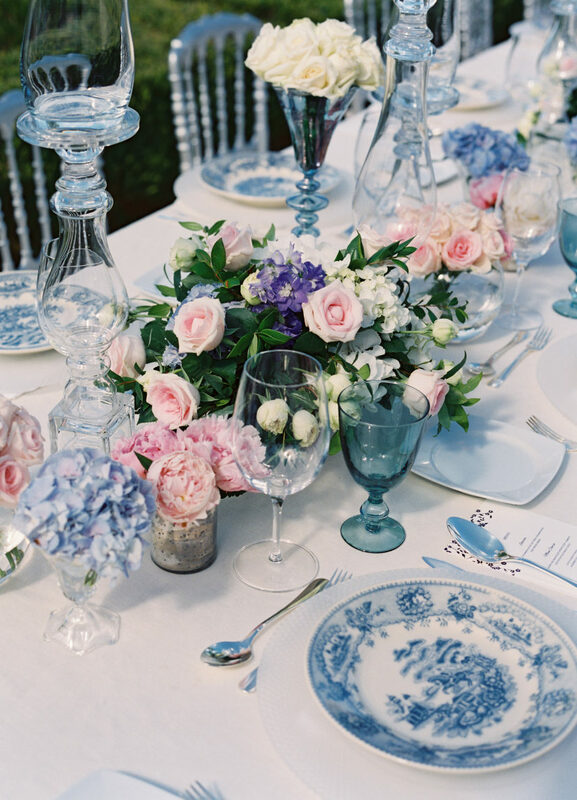 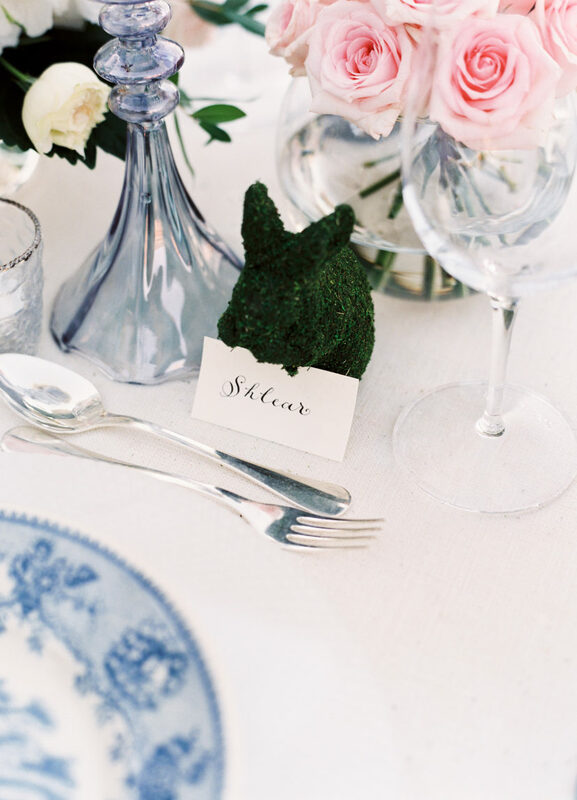 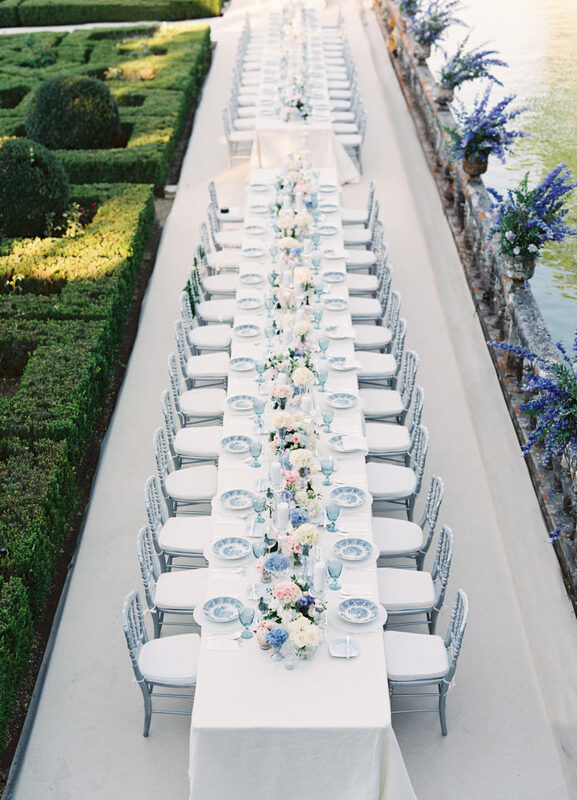 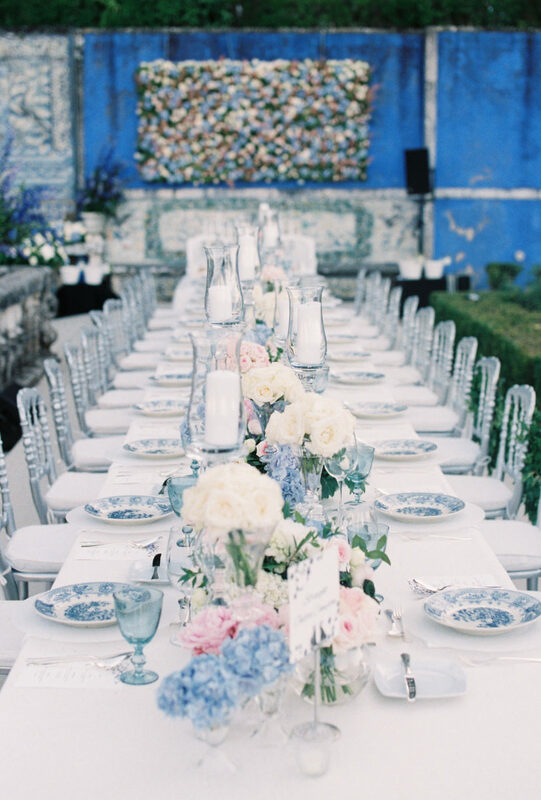 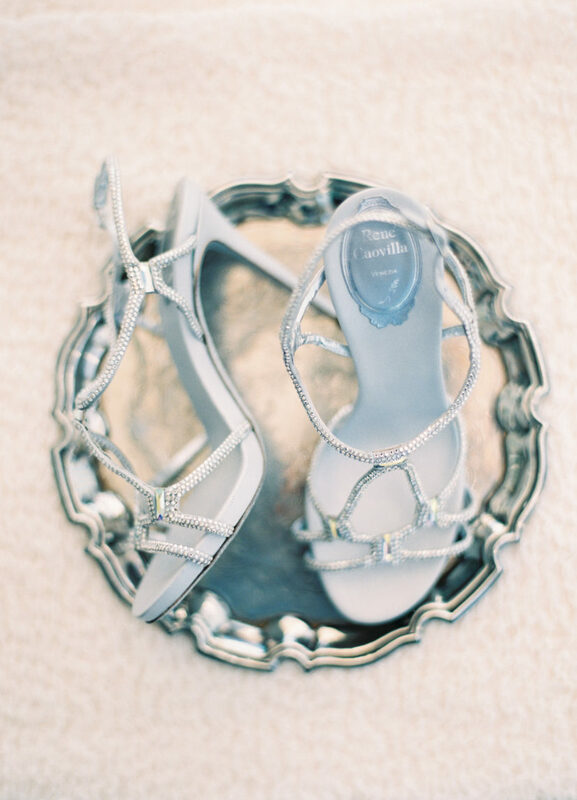 With blue painted plates and blue glassware, vintage details have looks so glamorous! 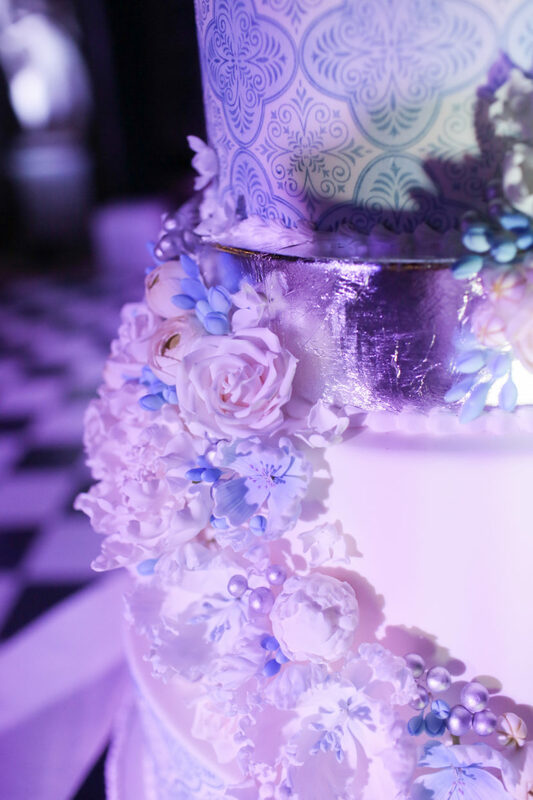 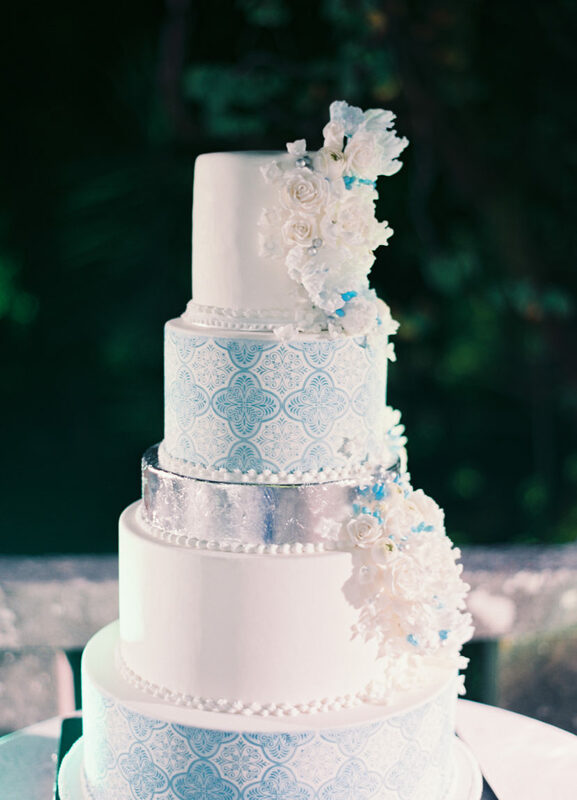 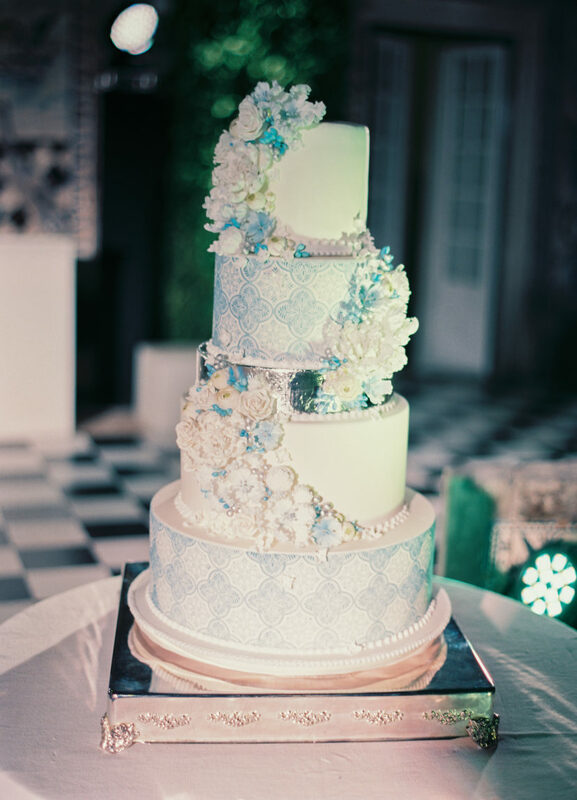 Make sure to get a glimpse of the ultimate dream wedding cake at the end. 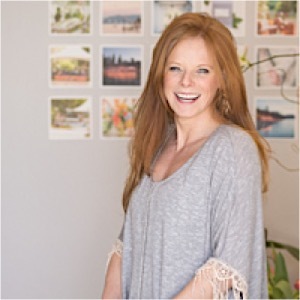 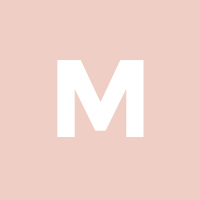 Scroll down to get inspired!